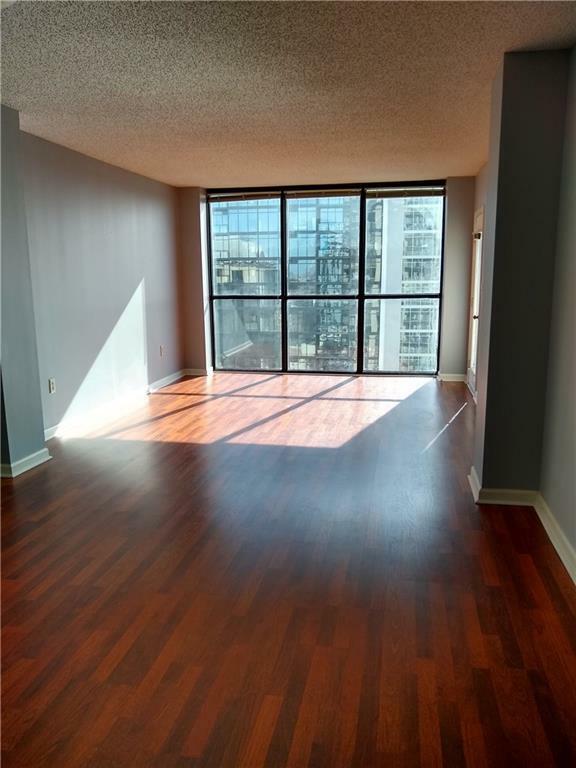 Coveted large South facing one bedroom Unit with unobstructed views of Mercedes Benz Stadium and downtown! Unit boasts floor to ceiling windows, a private balcony, hardwood floors, granite countertops and stainless appliances. Conveniently located across the street from the Arts Center Marta Station and within walking distance of shopping and restaurants. The building has top notch amenities including a gym, lap pool, tennis, and basketball.